The software is made up of two complementary features, “ear training” and “musical memory”, which will help you to improve your attention, your aural skills and your musical memory. This ear training program behaves like a real teacher. At the beginning of each exercise, the software plays a preview of the series of notes that you’ll have to recognize, while it shows them (on the screen) on the guitar’s neck or on the piano keyboard. 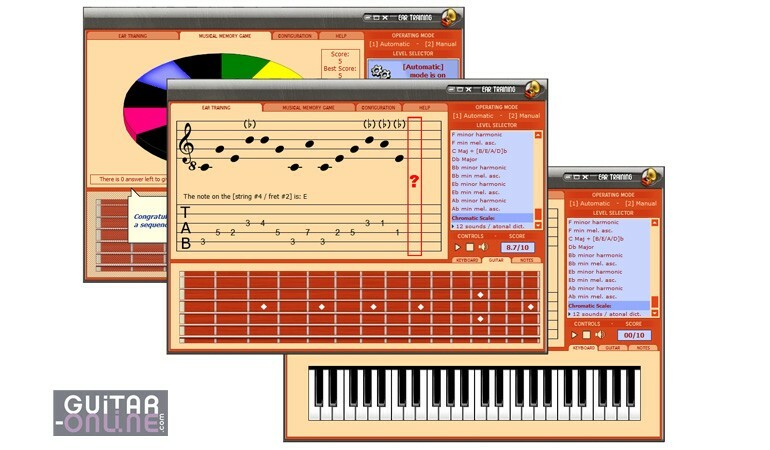 It proceeds then to the dictation: it plays a note then awaits your answer, which you can give by clicking either on the guitar’s neck, on the keyboard or even on the name of the notes displayed in the interface. For each good answer, the program grants you a point and plays the following note in the dictation. 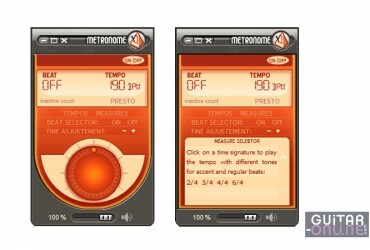 For each series of 15 notes out of 16 notes recognized successfully, the software increases the level of difficulty by adding one additional octave to the series of sounds you need to recognize. For each series of 12 exercises having reached at least 15 points out of 16, the software moves you up to the next level. In the contrary case, the fact of remaining and practicing in the same level increases your skills and allows you, at one moment or another, to move up to the next level. To have a good ear is the ability to remember the name of every note. This is why “Ear and Memory Training” offers, in parallel, a second activity called “Musical Memory Game”. 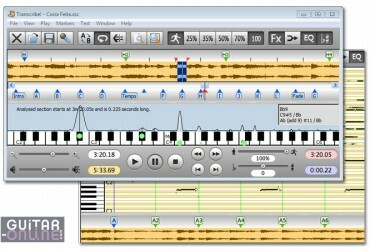 In this game, freely inspired by the game “Simon Says”, the computer displays a series of colored keys and plays simultaneously a series of random notes (corresponding to the current level of musical dictation). 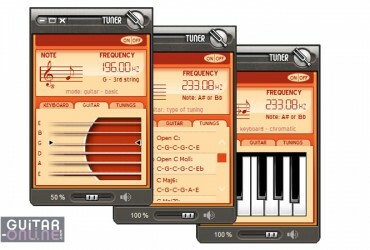 You must then reproduce the sequence of notes by clicking on the colored keys, in the same order. To each series of notes successfully memorized, the program will add an additional note which lengthens the melody more and more. In the event of error the game starts over again, i.e. with only one note. This exercise develops auditive attention and musical memory. Musicians: All – Guitarists, pianists, saxophonists, violinists, etc.